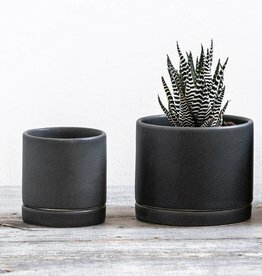 High-design manufacturer From the Bay originates from a desire to make contemporary, unique furniture and design objects available for wide use, with a passion for enduring materials and craftsmanship. 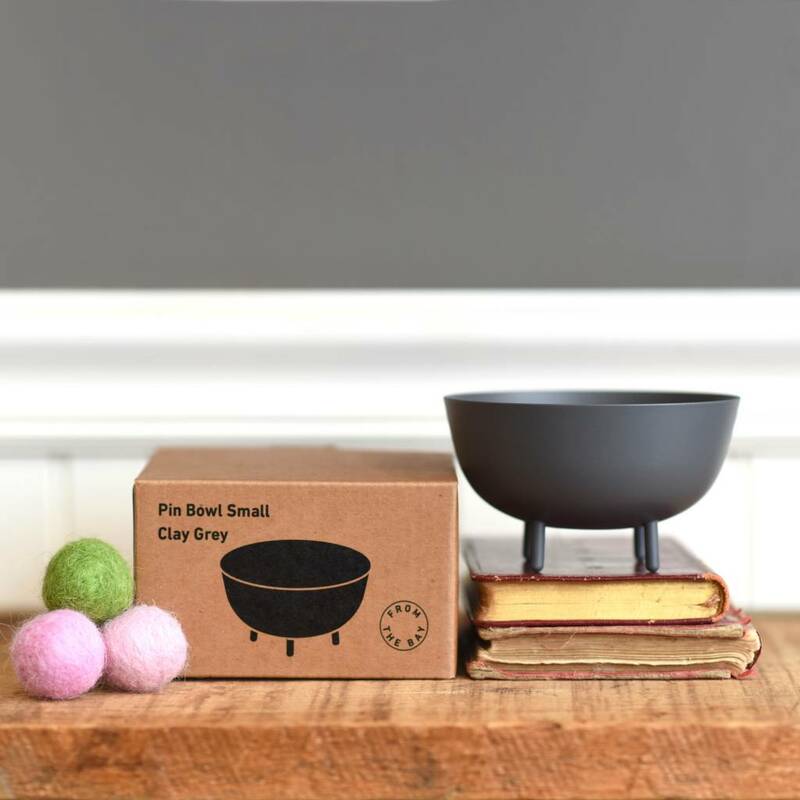 Swedish designer Jonas Wagell integrates his design sense with clean Scandinavian esthetics with this gorgeous grey enamel-finish pin bowl. 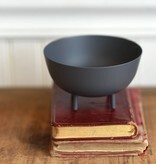 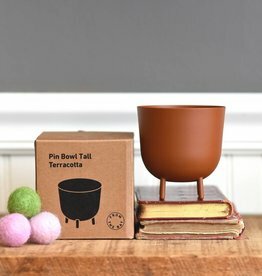 This small bowl is short with a wider round container with delicate legs that elevates it off table and counter tops. 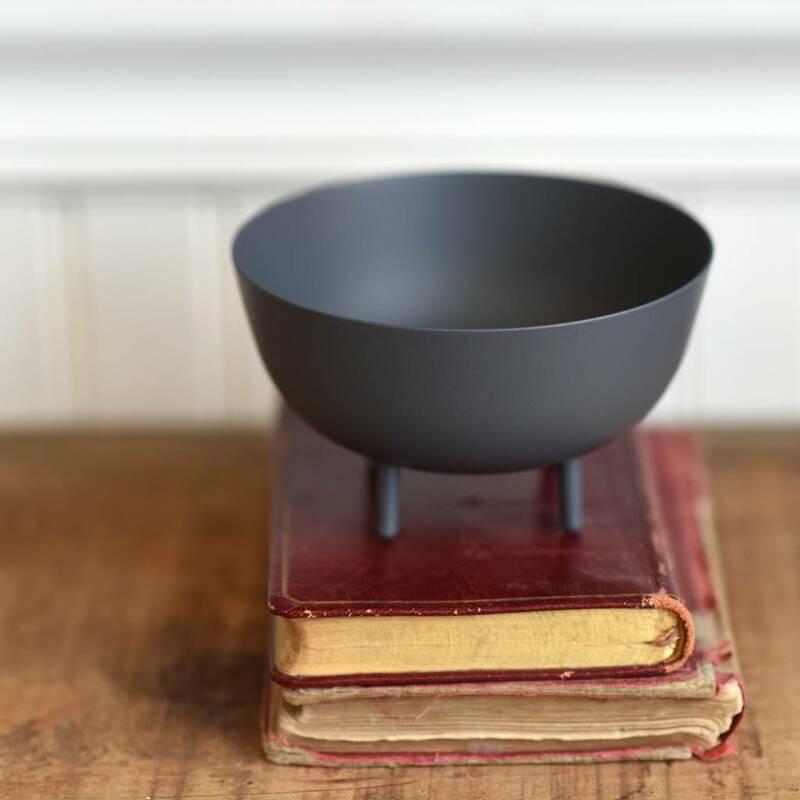 Rather than the typical three legs, Wagell's pin bowls use four, adding difficulty in manufacturing but giving them added grace. 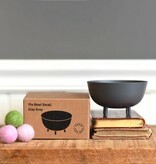 The bowls are not ceramic; they are kiln fired for the perfect enamel finish.